Ideal for those romantic honeymoon strolls on the beach. 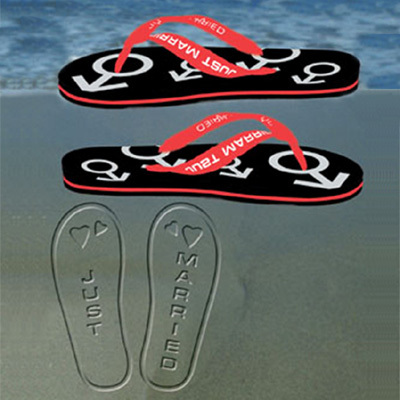 Leave a Just Married imprint in the sand as you walk. Available in black. Red toe straps have Just Married printed in black.